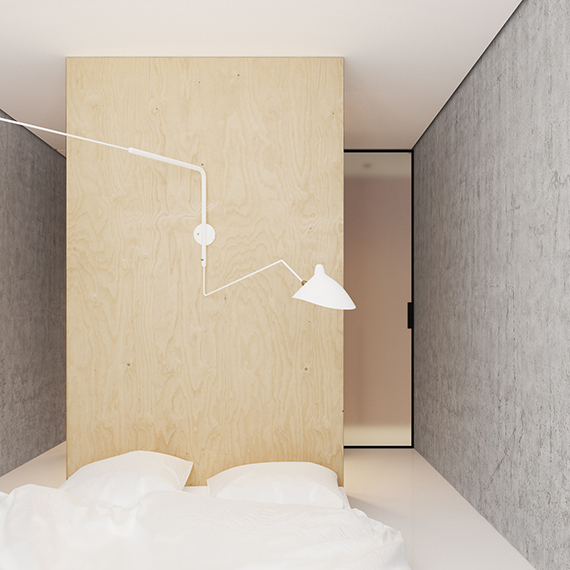 Please, don't wake me up for I am living inside the modern minimalist's dream space. A quite small space indeed. 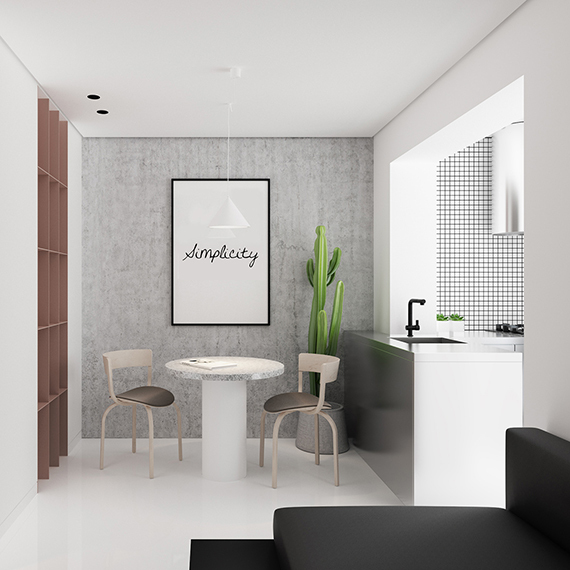 This 35 sqm apartment, designed by Emil Dervish, is likely to have come from a design paradise somewhere and landed in front of my eyes this very morning, leaving me gasping and drooling and literally envious that this gorgeous place didn't just come out of my designing skills. Ha ok, Emil, why don't you come help out in my home as well? 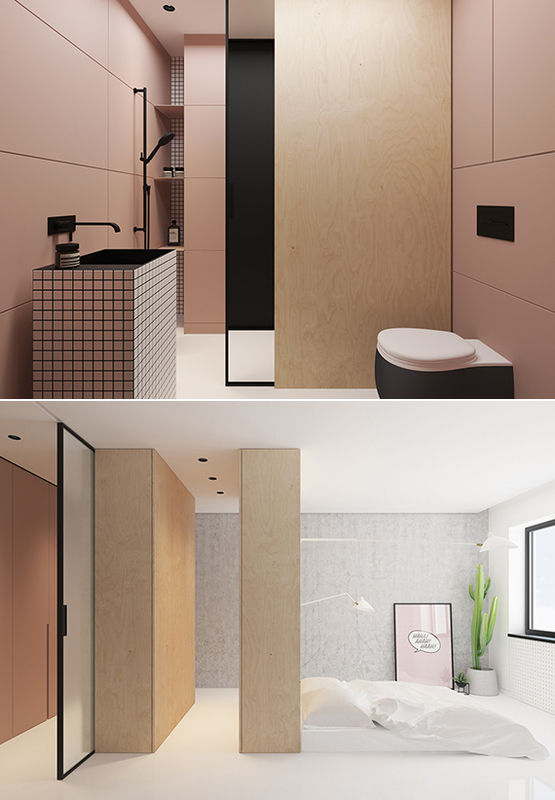 Anyway, above all, check out this muted pink, black and white grid and plywood bathroom with the black fixtures and the stark linear layout. Oh! See more of Emil's work here. P.s. 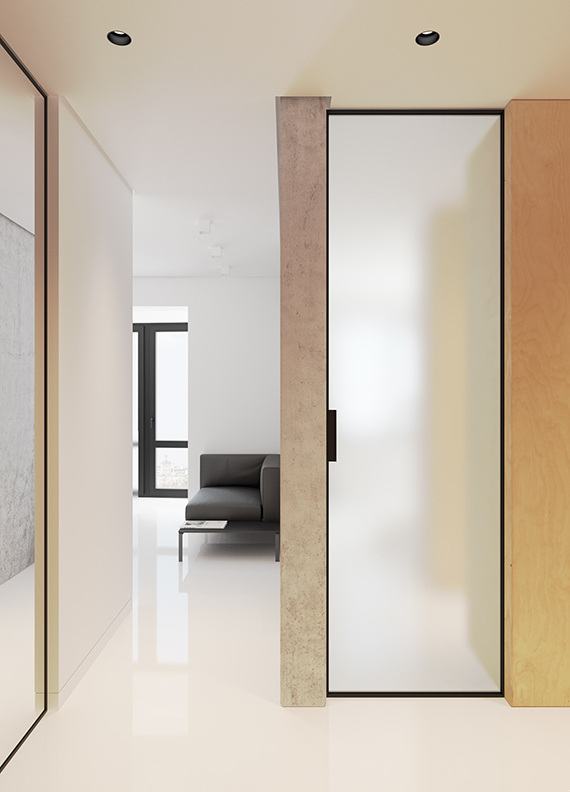 In case you have missed, this small minimalistic apartment is quite awesome too. 2 comments on "Gorgeous small minimalistic apartment "
What a gorgeous home indeed!